I know what you’re thinking. 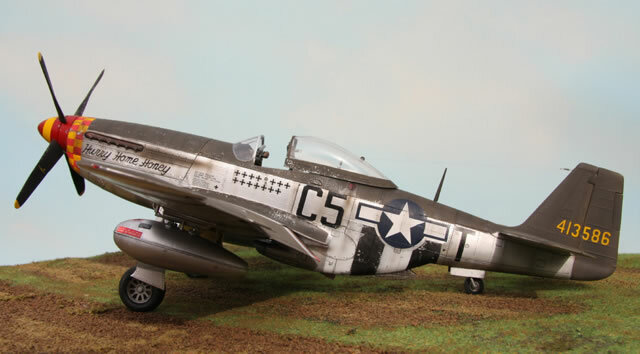 Why would anyone build this model when Tamiya have released the finest 1/32nd scale aircraft kit to date!? Quite simply, I’d already purchased it before I knew about Tamiya’s offering, and it seemed wasteful not to construct it. 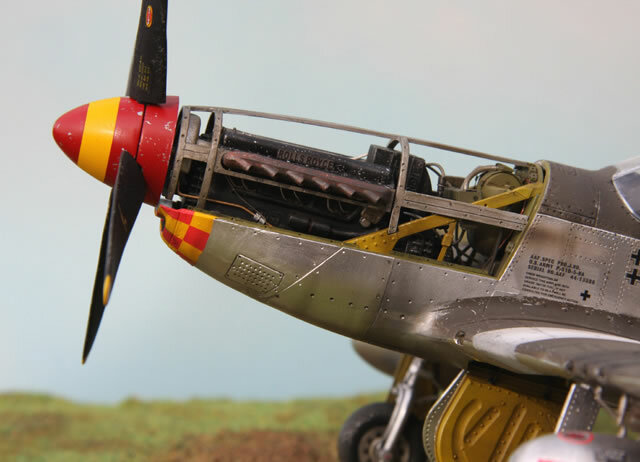 But after reading several scathing reviews about this kit and examining the contents, it would obviously be a hard task, to turn this near disaster into a decent P51, given that it would always be compared with the new benchmark set by Tamiya. But to have a go, and extend oneself beyond current abilities, would be a worthwhile pursuit regardless of the outcome. The model does have a few good points. 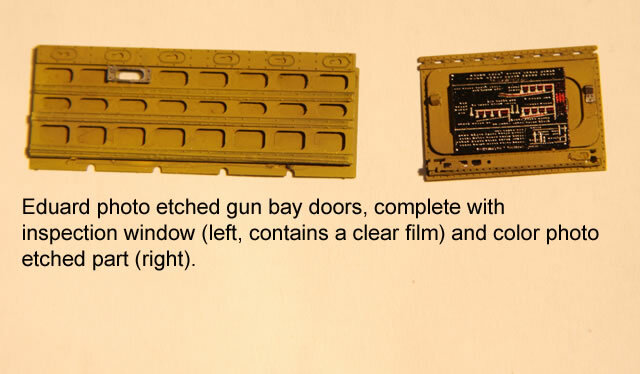 The gun sight is considered to be finely molded. The decals are superb, by Cartograph no less. It’s also quite true to scale. Well,…. that’s about it! Fortunately, rescue packages from Squadron, Eduard, True Details and Quickboost assisted me in my plight. 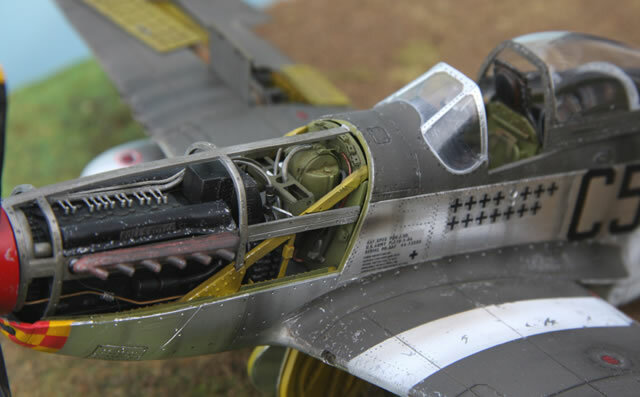 Eduard’s exterior detail and gun bay sets contain literally hundreds of parts, big and small, and did much to enhance the project. An especially nice touch are the towing rings on the oleos. 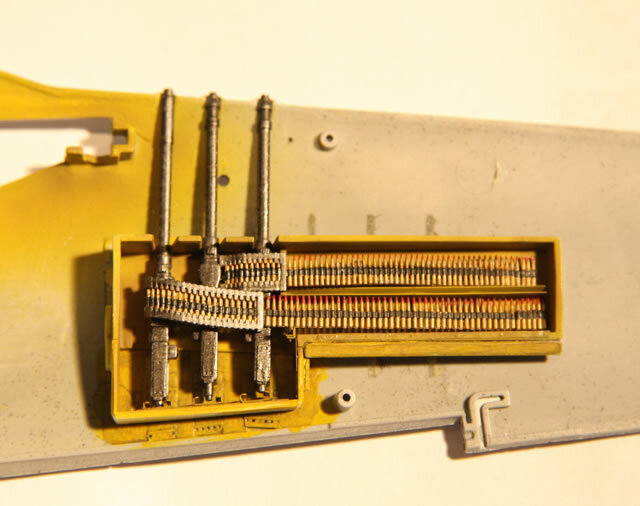 The gun bay set, designed for Tamiya’s P51 required modification, though I couldn’t use all of it. 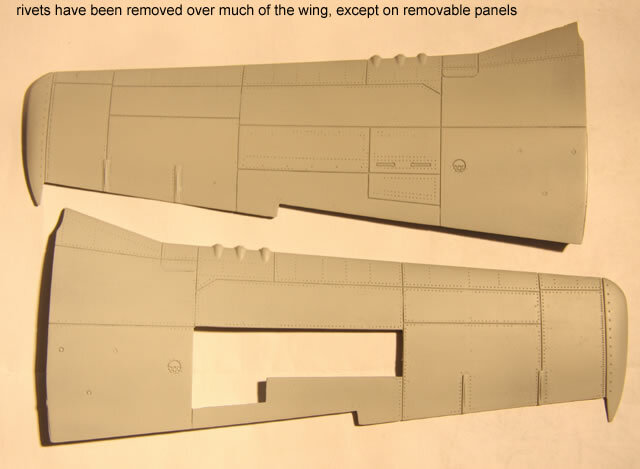 The wing hatches are a near perfect fit, and being photo etched, provide a thinner, more realistic look. The exterior set includes the radiator hatch, saving the time it would take to modify the original. 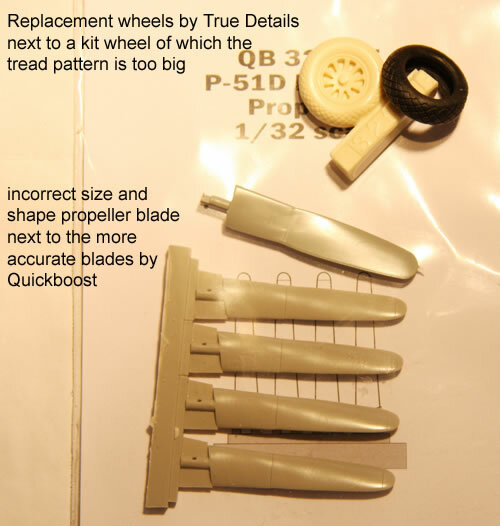 Quickboost provided the prop blades; the kit blades are completely wrong, as are the tires; the tread is too large. 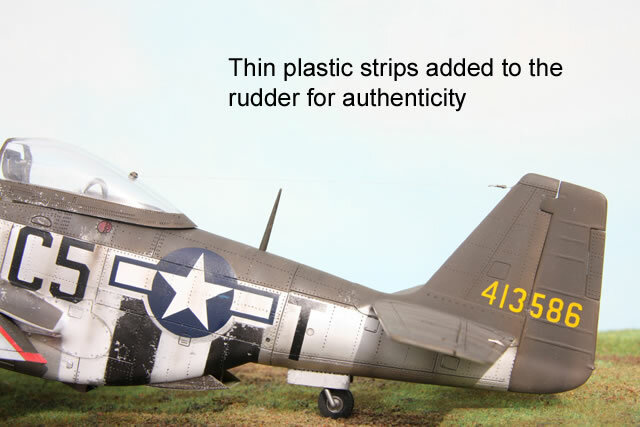 Resin replacements by True details are excellent, and are molded to look like they’re under load. I wish they did a tail wheel because the kit wheel is dreadful. I bought a vacform canopy, made for Hasegawa, but it was way too big. Unfortunate because the original windscreen is a poor fit. One side point; if budget is a concern, the total cost of everything including the model is still considerably less than Tamiya’s version. I thought I’d do most of the modifications prior to construction, so I could more or less build it as though it came that way. 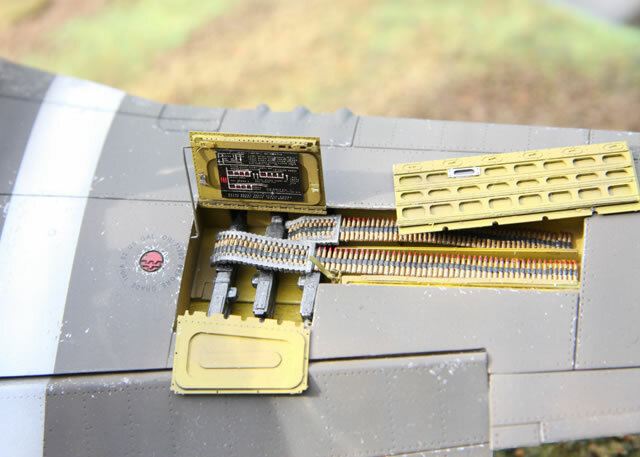 The modifications include but are not limited to, removing most of the rivets on the wings, extending the floor to reach the fuselage sides, filling the incorrect rudder hinge, extending the wheel wells to spec, cutting a gun hatch, narrowing the hard points, adding a back and sides to the seat, thinning the cowl, re-shaping the incorrect landing flaps, both on the flap and the wing root, extending the exhaust further through the cowl,…….and so it went on! The rudder is not molded to look like a frame covered cloth, rectified by adding thin plastic strips and carefully sanded. In an attempt to be clever, Dragon has fitted springs in the oleos to simulate hydraulics; ingenuity without purpose, except to make the undercarriage a bit brittle. 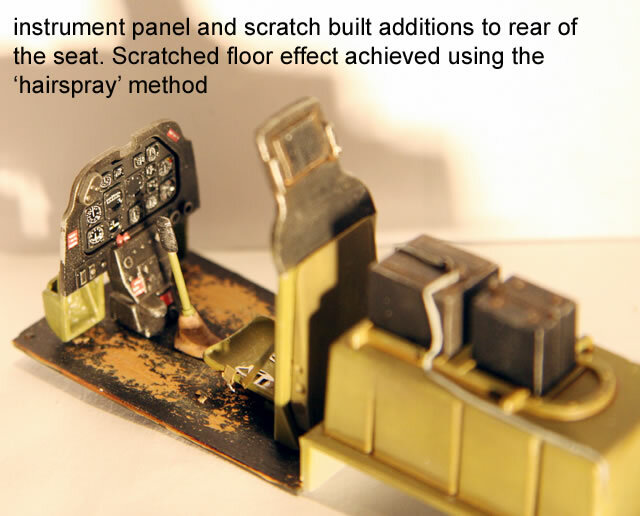 Actuators were scratch built for the landing gear doors. There was bound to be trouble given the number of changes, and one modification often meant changing an adjoining part and thus a domino effect began. 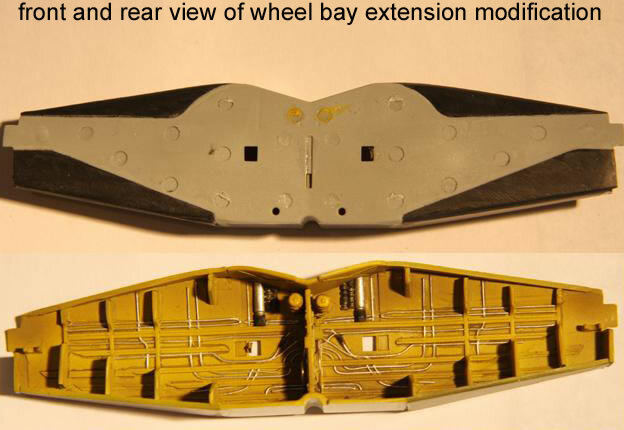 The wheel bay extension made the wings hard to join together without applying considerable pressure. 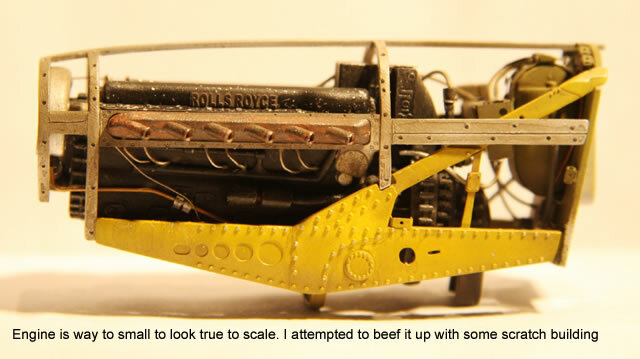 This created a slightly fuller shape resulting in a poor join to the fuselage. I used a number of different mediums for the paint finish. 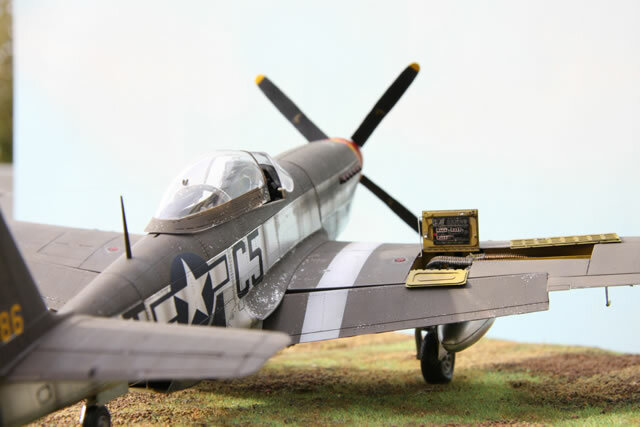 As I’ve discovered, the wings on the real thing were painted silver at the factory, so I found a very bright silver enamel called Champion sterling silver, purchased at a craft store and applied it to both sides of the wings and tail plane. 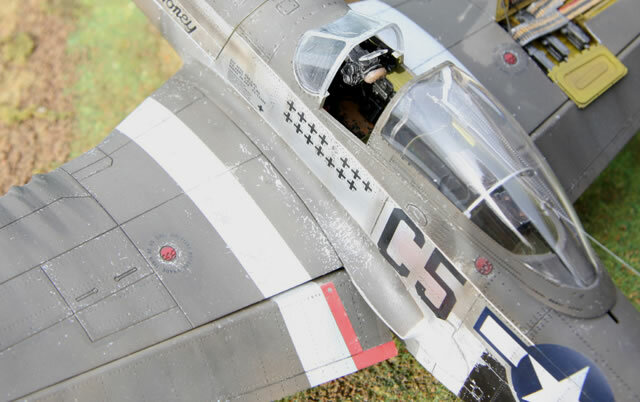 Tamiya acrylic olive drab was used on the top surfaces, and because it doesn’t adhere 100% to the enamel, it made simple work of creating a chipped paint effect. 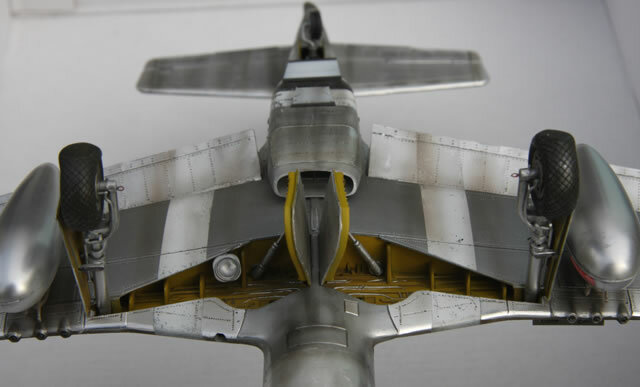 For some sections of fuselage, I used Testor's Model Master metal paint, but most was covered in bare metal foil, which in my opinion is one of the best products ever made for hobbyists. 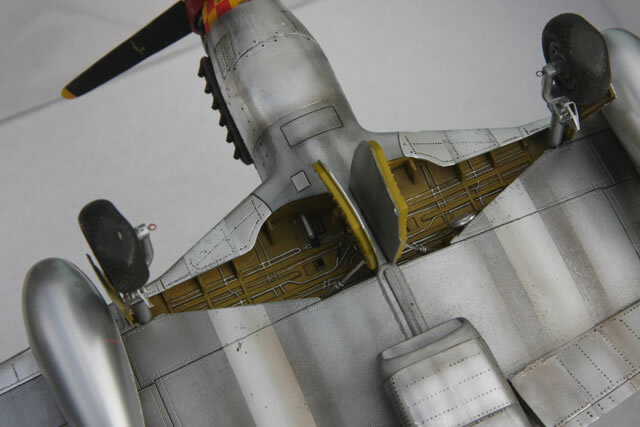 Weathering is everything when you get down to it, and thanks to the contributors here at Hyperscale, I’ve learned some effective, yet easy to apply methods; it’s also my favorite part of the model making process. 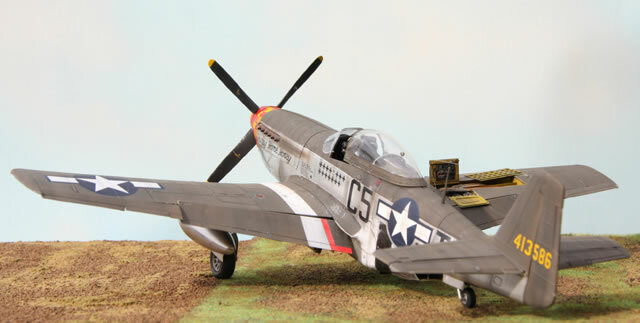 It came up pretty well in the photos, and I attribute this to the weathering more than anything else. I don’t think I’m up to scratch yet when it comes to plastic modifications, but I learned a lot in the attempt. 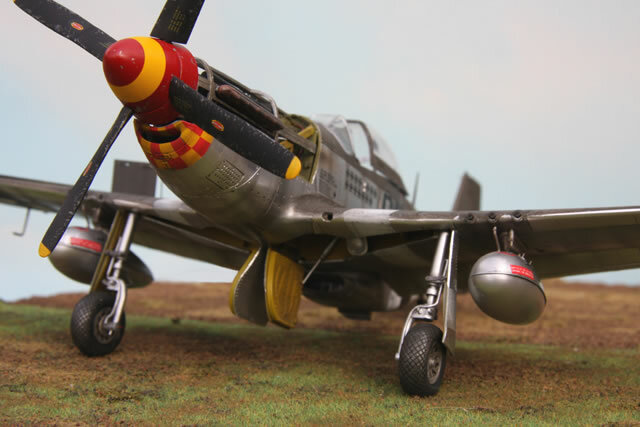 And while this model can never be as good as Tamiya’s masterpiece, with a little effort, even an enthusiastic amateur like me can put together a fairly accurate rendition of this famous plane.